sons of the never wrong | How's My Living? 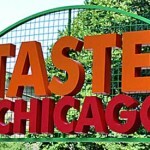 But Taste of Chicago isn’t just about eating until you don’t think you can move anymore. There’s also always a fantastically eclectic mix of live bands playing, and it’s all free.